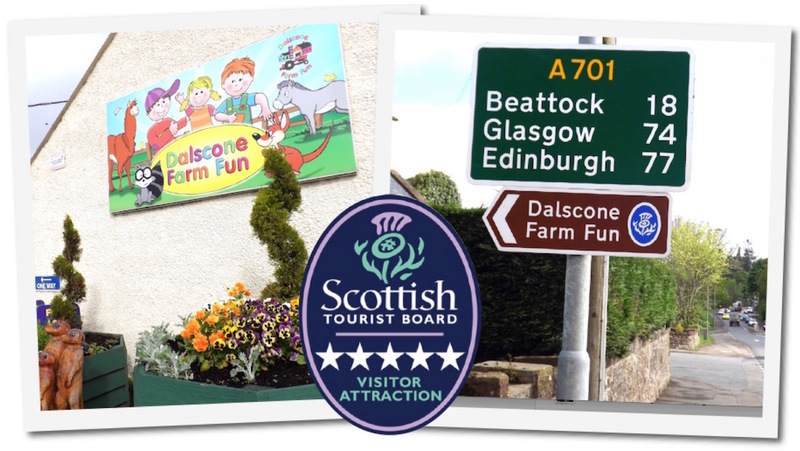 Dalscone Farm Fun is located on the A701, Edinburgh Road, Dumfries, just off the A75 roundabout. Our post code for Sat-navs is: DG1 1SE. Sat-nav coordinates: 55°05’12.9″N 3°35’38.9″W or 55.086913, -3.594127 See map for our location. Please allow a few seconds for the map to load. © Copyright. Dalscone Farm Fun and Indoor Soft Play Centre. All Rights Reserved.